NSA officer part-time private work: Up to 20 hours a week per agency ruling. 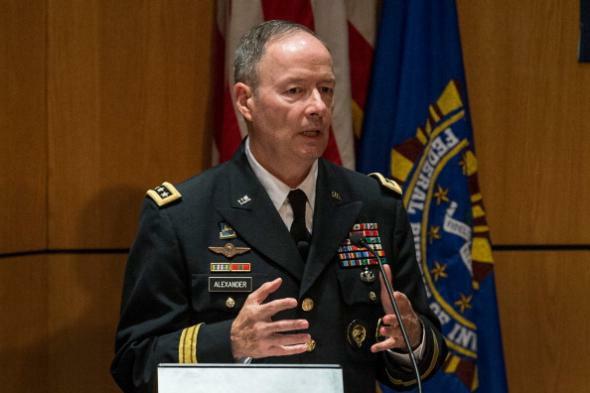 Retired NSA chief Keith Alexander. The Senate intelligence panel will not decide whether further action is necessary until after it has examined NSA’s internal review, said the congressional official, who spoke on condition of anonymity. Rep. Alan Grayson, a Florida Democrat who serves on the House Foreign Affairs Committee, said he would “request an investigation” of Dowd’s deal with Alexander’s firm. Reuters reports that the arrangement apparently does not break any laws, though it does seem to present some obvious conflict-of-interest problems, not the least of which is that there are only so many hours in a week, and it seems a little strange to have someone with a major role at a criticial national security agency (which is so critical that it’s called the National Security Agency) spending 20 of them helping Home Depot protect its online customer accounts or what have you.